Every year around October 20 I say to R, 'What kind of cake would you like this year?' And every year without fail he says, that black forest one! 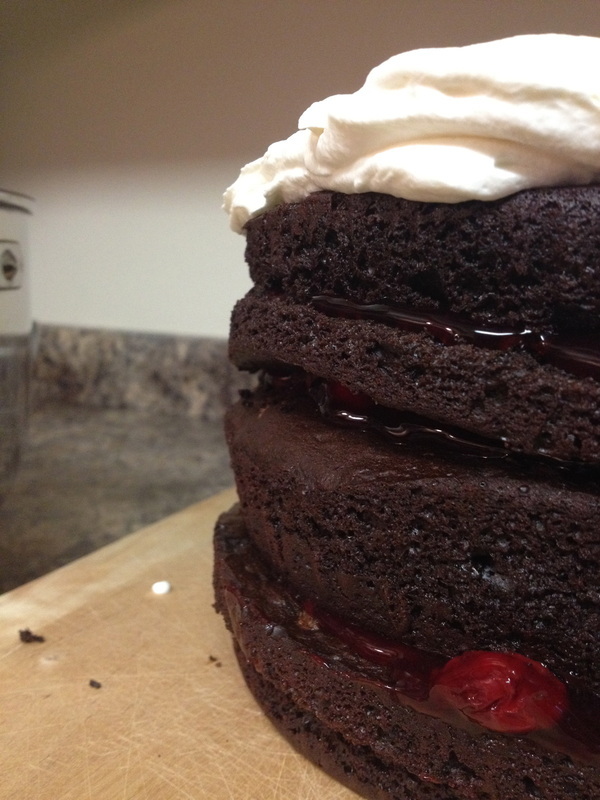 While this is by no means an actual black forest cake it IS delicious, and lucky for me it's incredibly simple. It all started when he commented that he missed the old school Tim Horton's cake- the one with white icing, chocolate cake and cherries. This is what I came up with. 1 chocolate cake, your favorite recipe. I use Emily McCormick's 'In a Pinch' chocolate cake, divided into 3 x 8 inch rounds which I bake at 350 for 30-35 minutes. Usually I use Kahlua or Rum in the batter. Boxed cake works too. 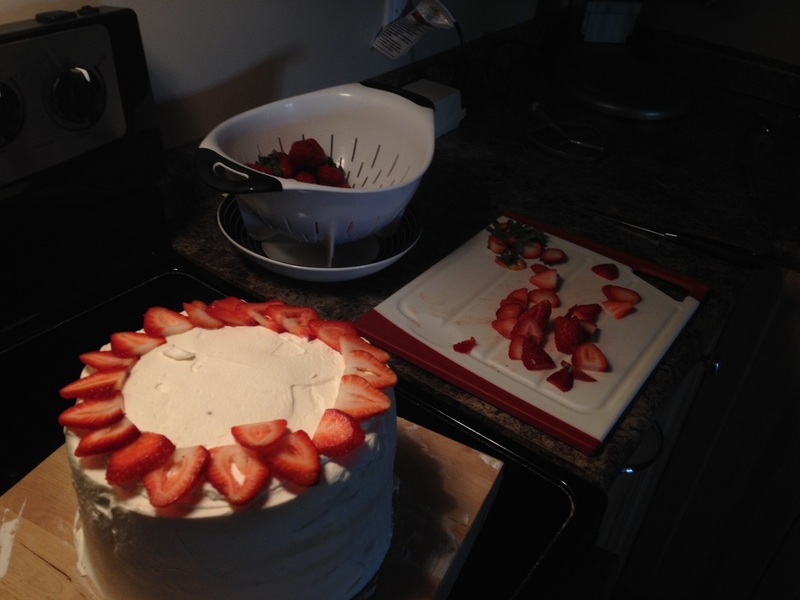 If your cake layers are thick, use a bread knife to slice them in half. If they're not thick, the layers aren't even, whatever, it's okay. You can omit a layer, patch it with filling, whatever works for you. Level off your cakes if they've got giant bumps or bubbles. Spread cherry pie filling on each layer, leaving the smoothest one bare, it'll be used for the top. If there are any giant gaps on the sides of your cake you can use leftover cake and filling to 'patch' them. If you don't feel like doing this, don't bother. Whipped cream can hide a lot of sins. 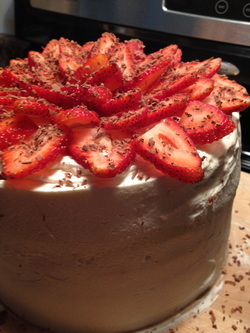 Whip the cream, when it's 2/3 of the way to the 'fully whipped' stage, add your vanilla and sprinkle in the sugar. Make sure you taste the whipped cream. 'Frost' your cake using a spatula and the whipped cream. It doesn't have to be perfect! Sprinkle the chocolate bits on the outside of the cake, doesn't really matter WHERE they land as long as they're there somewhere.